WordPress has allowed many to break away from their nine to five jobs and start their own business venture, and live the digital nomad life. Being location independent and travelling around the world while still able to make money is certainly possible nowadays, especially with the adaptation of the internet and Wi-Fi in all cafes, restaurants and coworking places. 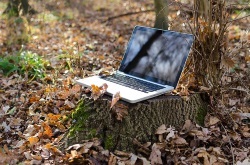 In some countries you can also find publicly available Wi-Fi in public places such as parks and town centres. All is good and your business can and will flourish, especially if you take care of the basic digital necessities. One of them is to connect to the internet using a VPN, by using a personal VPN service. Why Should You Have a Personal VPN Service? Public Wi-Fi hotspots are notoriously known for being insecure. Even if they are paid or password protected, you are at risk. If an attacker pays for the same Wi-Fi service to which you are connected to, and uses the same password, he can easily capture all your traffic and decrypt it. By decrypting your traffic, he can see all the clear text traffic, such as your WordPress username and password if your WordPress dashboard is not available over HTTPS. If you use HTTPS the attacker cannot see the actual content, but he can still see to which hosts you are connecting. This allows him to build a victim profile and attack you through other means. When you access the internet from a public connection, even if it is wired you are at risks. Actually it is easier for an attacker to capture the traffic on a wired internet than on a Wi-Fi. Several countries to which digital nomads like to travel to tend to have internet censorship and monitoring. Some others tend to block vital internet services such as Skype, Facebook and Twitter. Ever wondered how it is possible for internet based telephony services to charge so little for international calls? That is because they use VoIP, which is a protocol designed to pass your phone call (data and voice) over the internet. VoIP traffic is sent in clear text and can be captured and recorded, therefore anyone can listen to your call. How many times have you tried to watch a replay of your favourite team’s match, yet you couldn’t because it cannot be played in the country you are in? You Want to Protect Your Privacy and Location. And of course, you want to protect your privacy. As reported by many news outlets such as Quartz, ISPs can now sell your browsing history to commercial entities. Apart from that, if you do not use VPN it is very easy for an attacker to track down your physical location. Cannot determine where you are. You can access a service from a specific country or region, thus bypassing blocking based on geographic location. Which Personal VPN Service Should You Use? There are many VPN services available on the market, and as usual I only recommend and endorse what I use. I have been using Witopia Personal VPN for more than five years now and never had any problems. Plans start from as low as $69 a year. 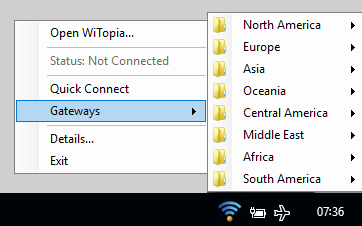 One of the things I like about Witopia is that you can choose to which server / country to connect to. So if for example you need to connect to a service which only accepts connections from the US, then you can connect to a US based server. Use the link below to benefit from a 15% discount when purchasing any of the Witopia VPN software and services.